I don’t know about you, but I’m very particular about the costumes I pick in Super Smash Bros. Once I pick one, I stick with it, so I take my time deciding which one I like the best. I consider things like color and visibility on-screen, and something that especially piques my interest in a costume is when I recognize where the design came from. Many of the costumes in Smash Bros., even in its early days, have origins from other game titles. These are little nudges and winks to the games these fighters hail from, and of course, this means The Legend of Zelda and its many titles are included. Let’s explore the origins of some of these alternate costumes for the Triforce trio — Link, Zelda, and Ganondorf — in the latest installment, Super Smash Bros Ultimate. This time around, instead of all the characters sharing the same title look, such as Ocarina of Time in Melee and Twilight Princess in Brawl, they each represent a different Zelda game with their default appearances. Link represents the latest installment to the franchise and is dressed in the blue Champions Tunic — which I will never get used to. Seriously, whenever I play as him dressed in this, I keep confusing him for another character and somehow wander off-screen. Luckily, if you’re a goofball like me and have trouble distinguishing your pretty blond-haired, blue-eyed hero from the rest (you have no idea how many times I made this mistake while fighting Shulk), Link’s first alternate costume is the Tunic of the Wild. 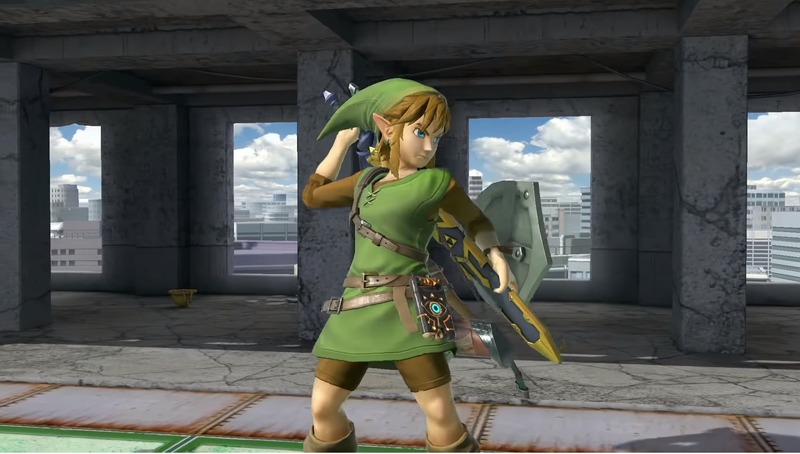 This outfit is the iconic green tunic found in Breath of the Wild after completing every shrine and is much more similar to Link’s past green garbs. I will say though, even though I don’t use the Champion’s tunic all that much, it does have some nice alternations. The red-colored tunic is a reference to the Hylian Tunic, a basic costume that’s found pretty early on in Breath of the Wild. The color scheme is spot-on, even down to the blue sleeves he wears underneath. The next one is his deep-blue Champion’s Tunic. 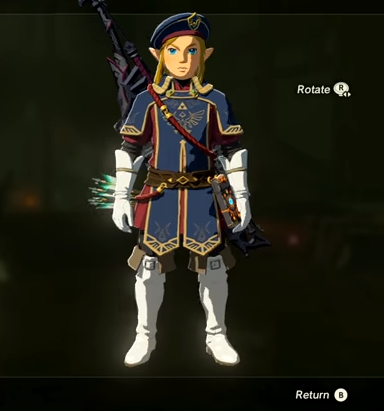 It has gold trim, white gloves, and red undersleeves, which is a clear reference to his Royal Guard uniform that can be obtained through Breath of the Wild’s DLC. Even the shield is black and red in reference to the royal gear you can obtain in Hyrule Castle. Ah, if only they could have included his little beret. 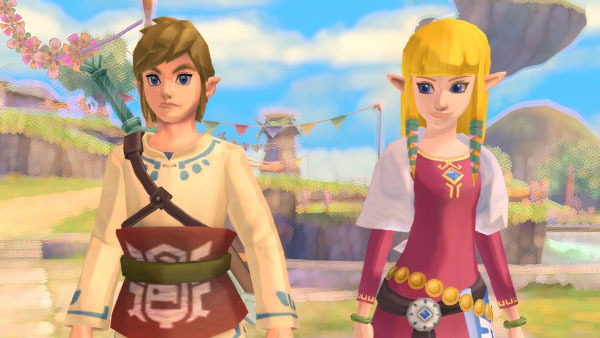 We jump on over to Skyward Sword for this next Champion Tunic recolor. The white color scheme with blue trim is sure to be a reference to Link’s Skyloft outfit that he begins Skyward Sword with. While the Wii U and 3DS versions of Smash went a little further into detail, recreating the exact blue pattern and including his red sash, it’s nice to see that this costume was at least not forgotten to time (like how I believe his Ordon outfit was. It never even got an alt). We’re not done yet as we’ve still got Link’s Tunic of the Wild alternatives. Let’s start off with an easier one that everyone is sure to recognize. With Link’s startling white eyes and tribal-like face paint, Fierce Deity Link is back! A little less detailed than in the 3DS and WiiU version, seeing as Link’s Tunic of the Wild isn’t as armored as his Twilight Princess appearance, but the effort is absolutely appreciated by Majora’s Mask fans everywhere. In addition to this, Dark Link is also back with his pitch-black appearance, white hair, and glowing, red eyes. The next one is a tad bit tricky. It’s more of a teal color with a beige undershirt which, while it could be a reference to the first two Zelda games, I believe is a reference to his Twilight Princess design. 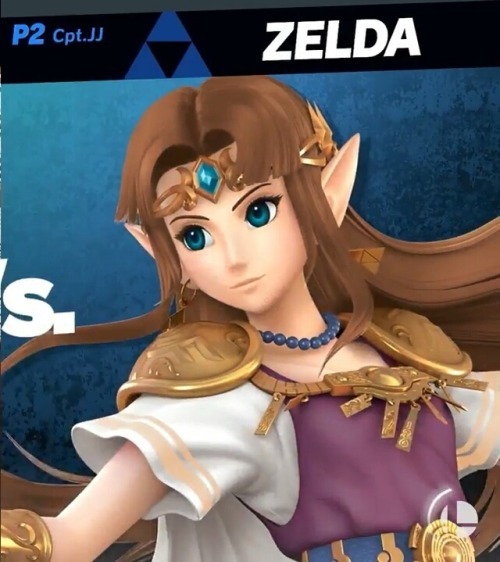 The colors are closely matched, and seeing that it was the last incarnate of Link represented in Smash Bros and Zelda has a costume mimicking her previous counterparts, I think it’s likely that this is the same deal. 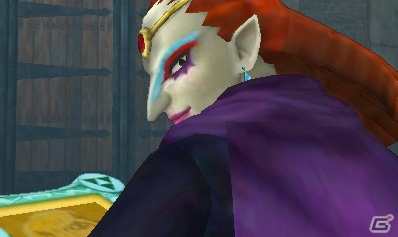 Zelda, in my opinion, got the most dramatic redesign. It’s very different from her Twilight Princess counterpart, so it did come as quite a shock to see her A Link to the Past/A Link Between Worlds debut in Ultimate. Now don’t get me wrong, I love this look, but I’m particularly fond of Zelda’s Twilight Princess design. While that look may not be available in this game, luckily, there is a color swap alternate that uses Zelda’s Twilight Princess color scheme, and for that, I am at least grateful. You may not be Twilight Princess Zelda, but you’ll always be my main. Her red dress may be a reference to the very first Zelda game if she is rescued with the red ring, but her blue dress is most likely a reference to A Link to the Past. In said game, she wears a paler blue dress in the introduction phase, but her lighter hair color in this costume swap is a clue pointing to this being a reference to this design. Or it could just be blue because primary colors are usually just basic costume alternatives. That’s a thing too. It’s also been suggested that the red, blue, and green costumes are a reference to the three Hylian goddesses: Din, Nayru, and Farore. Food for thought. 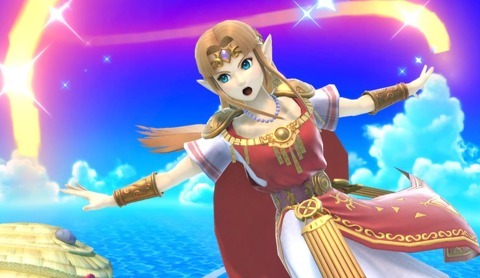 Like always, there is an Ocarina of Time color swap for Princess Zelda, representing her first Smash Bros. appearance for the die-hard Melee/Ocarina fans. We can see this from her magenta dress, light-pink undershirt and cape, and vivid blonde hair. So, now that we have Ocarina of Time and Twilight Princess out of the way, let’s talk about Skyward Sword. Her white dress is most definitely a reference to the (chronologically) first Zelda game. The blue gems and jewelry are also very reminiscent of the bracelets she wore in her Hylia dress towards the middle of her journey in Skyward Sword. 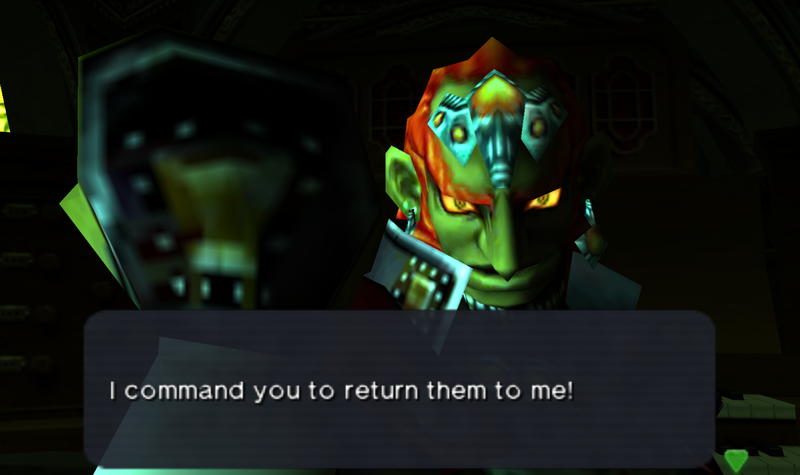 Lastly, we have the King of Evil, Ganondorf. 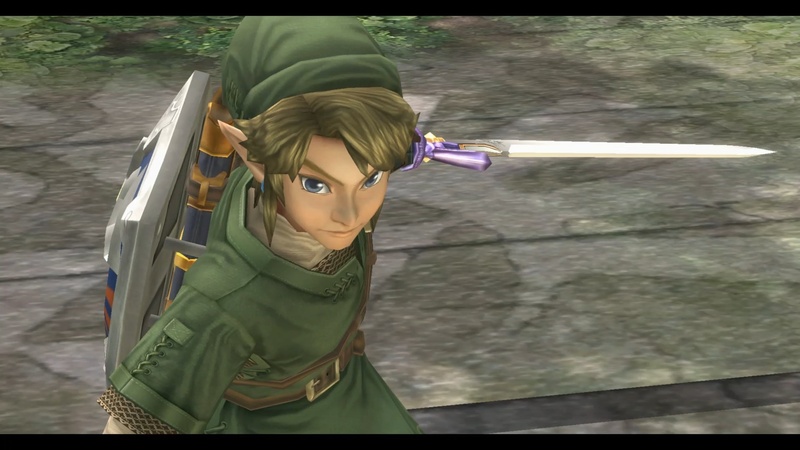 His look in Ultimate returns to the classic Ocarina of Time design, which was his debut as a (humanoid) character. This time around he even has his trusty sword, which has been memed to death with its overpowered swings. It is about time he got it, though. I always did wonder why Ganondorf never had a sword when I first unlocked him in Melee. A taunt isn’t good enough, Brawl! I’ll save the movesets for the pros to handle, though. Let’s get back to costumes! In one of his alternative colors, Ganondorf sports a purple cape, black under-garbs, and bright red hair. This one points to A Link Between Worlds‘ Yuga as a reference. Being as he was another big bad of the Zelda series, this reference only makes sense. It would also make sense for him to have a Twilight Princess alternative too, but it’s hard to tell if he truly does. The closest color scheme we have to that one is his costume with a dark-red cape with gold trim and black armor. Ganondorf also has some odd skin changes, and when I say skin changes, I mean just that. One of his alternate costumes has him with blue skin, red hair, and mainly blue and red armor. 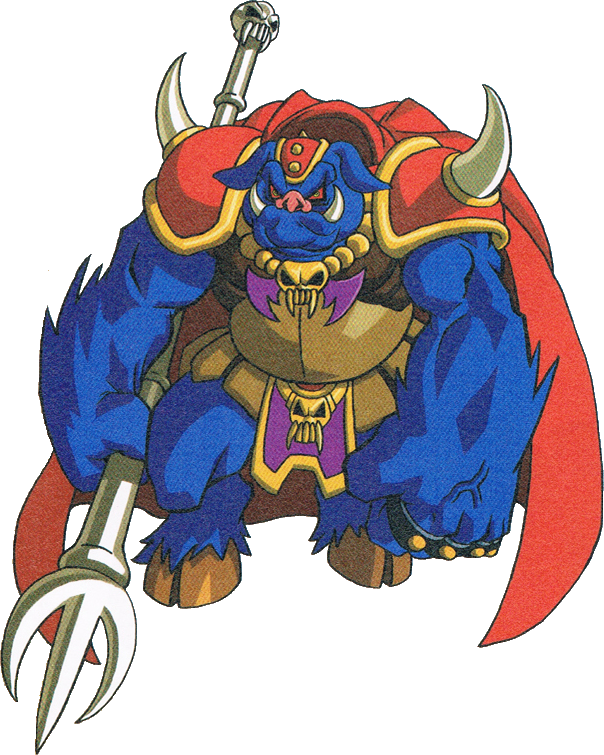 His beast form, Ganon, has been known to have this blue tone in past games, so this is most likely a reference to that. He does have another blue-skinned redesign, but this one is a bit harder to pin down as a reference if it is one at all. There is one where he also has more of a green color to his skin, which my friends refer to as Goblin King Ganondorf, but I believe this is a reference to his appearance in the original Ocarina of Time. Yes, we do already have that in his default design, but that one is based on the official artwork. In the actual game, at certain points, Ganondorf had this strange, green hue about him as well as more vivid colors. I can’t say for certain — it might also be a callback to his Wind Waker appearance as he did have some funky green hue in that game as well — but I believe Ocarina of Time is where that costume comes from. Nintendo always does a rather good job when making callbacks to their previous work. It reminds us of all the good times we had and gives us an attachment to these updated character looks that may be a bit foreign to us. I find myself on most occasions swapping the color palettes due to many of these clever references, and it makes me feel like I’m really representing the series by doing so. Or just wearing pretty colors because I like them. Both reasons are justified. I’m sure there are some costumes that I may have missed or even those that are possibly incorrect. There’s no official guide to tell us which costumes refer to what game and much of this research was done by fellow Easter egg hunters, so if you have a suggestion on perhaps an unwritten entry, please leave your thoughts in the comments! Perhaps we’ll return to the topic someday with Sheik, Young Link, and Toon Link!